Samsung Electronics has set a cautious tone with activist investor Elliott Management. The South Korean conglomerate says it will consider using a holding company structure. It’s a measured but welcome response to the U.S. fund’s restructuring proposals. Plans to boost dividends and buy back more stock also show the group is serious about improving relations with shareholders. The $224 billion tech giant unveiled a set of new measures during a strategic update on Nov. 29. Most notably, Samsung has hired advisors to conduct a six-month review on how to improve its corporate structure, including the possibility of splitting into a holding and operating company as well as listing shares abroad. Both options were part of Elliott’s unprecedented calls for change at the family-run group, made public in October, that have since won support from several international investors. On paper, the statement is equivocal: the company didn’t directly address Elliott’s proposals and has already cautioned that the review “does not indicate the management or the board’s intention one way or another.” But it’s a far more conciliatory tone compared to Samsung’s public brawl with Paul Singer’s hedge fund in 2015, when the controlling Lee family narrowly succeeded in pushing through the merger of two Samsung affiliates. Samsung’s plans to improve shareholder returns and strengthen corporate governance is also a signal of a more diplomatic approach under the new leadership of family scion Jay Y. Lee. As part of a three-year shareholder return initiative announced last year, Samsung will commit 50 percent of free cash flow for 2016 and 2017 to dividends and share buy-backs. For shareholders who have long accused the company of hoarding cash to no purpose, that’s welcome news: the dividend yield on Samsung’s shares is currently a mere 1.25 percent, much lower than rivals Apple and Intel, Eikon data shows. But this is no concession to Elliott. Samsung also committed to maintaining a net cash position of between 65 trillion won ($55.6 billion) and 70 trillion won, which may be a hint that the company doesn’t intend to pay the 30 trillion won special dividend proposed by the fund. But as a starting point for negotiations, Samsung has sent a careful message. This article has been corrected in the final paragraph to give a net cash figure of 65 trillion won to 70 trillion won, not 70 billion won. Samsung Electronics said on Nov. 29 that it will consider a transition to a holding company structure. The announcement comes after U.S. activist hedge fund Elliott Management proposed the firm split itself into a holding vehicle for ownership purposes and an operating company. Separately, Samsung also announced several actions as part of the company's three-year shareholder return initiative in 2015. 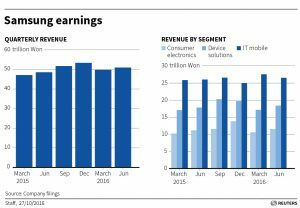 These include paying out 50 percent of its free cash flow to shareholders for 2016 and 2017, raising the total dividends for 2016, buying back and cancelling additional shares, and committing to a net cash balance of 65 to 70 trillion won ($56 to 59 billion) to be reviewed every three years. The company also said it will nominate at least one new independent board member next year and create a new Governance Committee comprised of independent board members. 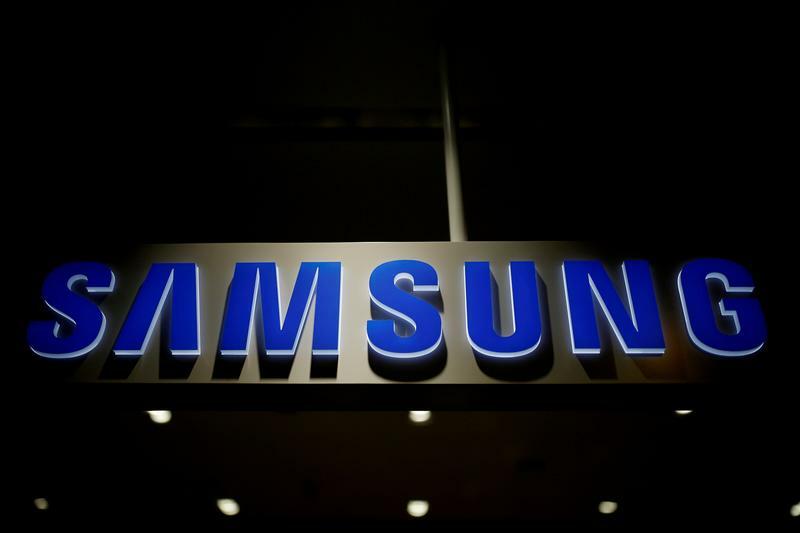 Shares of Samsung Electronics were flat at 1,678,000 won during mid-day Seoul time on Nov. 29.